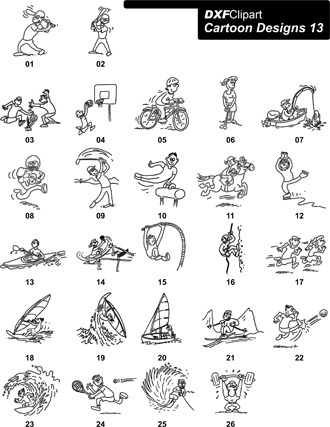 This batch of 2D DXF Art Cartoon Designs 13 contains 26 2D DXF files. Each DXF Cartoon Design file is pre-scaled in inches, not millimeters. 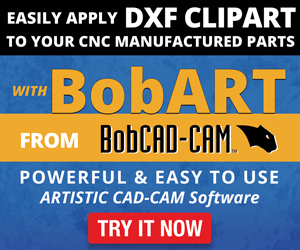 However, any CAD Design or CAD/CAM software should be able to re-scale each 2D DXF file as needed.